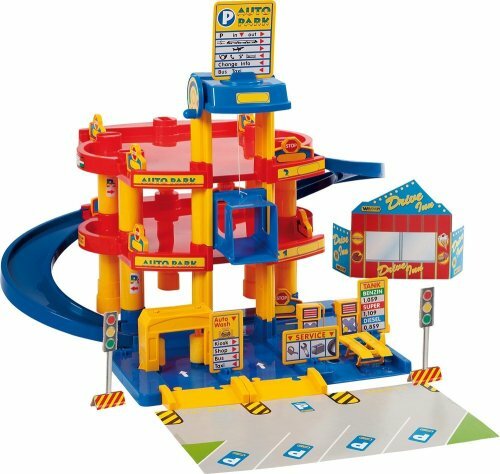 10258 This new 3 level parking garage will keep your young child busy for hours. Comes with an elevator, spiral ramp, car wash, gas pump and service hoist. Features: -Standard garage and 3 cars. -Material: Polyethylene. -Easy to set up and wash. -Assembly required.